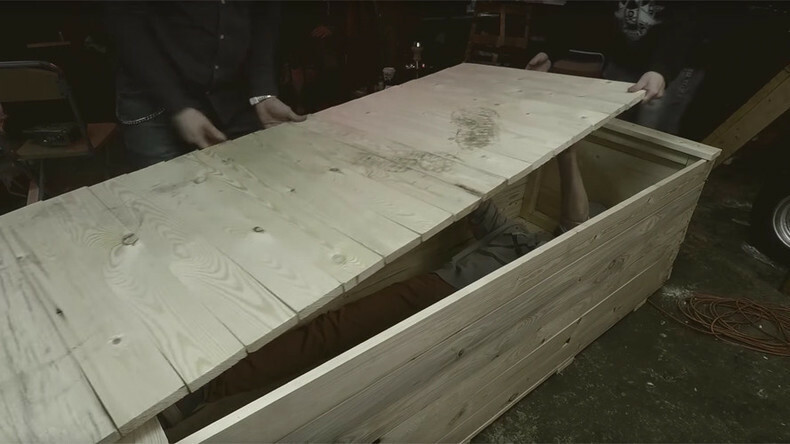 A hothead vlogger has buried himself inside a custom-made coffin for 24 hours. Though he won’t be getting out like Uma Thurman’s Kill Bill assassin character or the Great Houdini, he still claims it will be a unique experience. The ‘Beyond the Grave LIVE’event, featuring a Russian-speaking blogger who calls himself Gabar in the main role, started at 11:00 GMT Thursday. The vlogger says he wants to test his physical and mental abilities. To do this, he built his own 60 x 200 centimeter coffin after learning that off-the-shelf coffins don’t allow air in. He has also literally dug his own “grave” for the event – a one-meter deep pit, clearly visible in the footage. “This is the first non-fake video on YouTube. I’m digging a hole for myself and I intend to spend 24 hours here under a meter of dirt,” Gabar told his viewers earlier. An epic preview showing Gabar sitting on his grave preparing for his ‘underworld’ adventure was released on Wednesday. While Gabar’s YouTube followers are enthusiastic about seeing ‘Beyond the Grave LIVE’, many still worry he won’t have enough oxygen to pass his “grave” exam with flying colors. “This is dangerous, but very interesting. I will definitely watch LIVE. Good luck,” one person wrote. It looks like Gabar is rather new to vlogging, as he has relatively few videos on his YouTube account. In his channel’s description, he says his name is Sasha and reveals that being beaten up at his own wedding has changed him completely. “I’m determined to change my life completely and I decided that I can do anything,” he said.